Returning hot off their Lettuce/Ghost Note After-Party RAGER, they’re COMBING back! 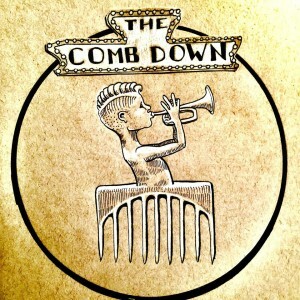 The Comb Down features members of Dispatch, John Brown’s Body, Big Mean Sound Machine, Thunder Body, Nahko and many more, making them a formidable Super Group! Local favorites The Sideways will start the night off. The Comb Down was brought together by the one and only Brian “Gourd” Mlodzinski. Gourd aka DJ Gourd has been spinning funky vinyl for over two decades and has a reputation for bringing his listeners and dancers into an atmosphere that is hard to forget and easy to crave. Gourd is well known for his collection of raw 70’s funk, 80’s boogie/synth funk, Afrobeat, Disco, 80’s/90’s Hip-Hop and straight up dance classics. With his love of the music, guitar, showmanship and having a grand time, a band like this was inevitable. It eventually came time to dust off the old Hammond b3 and her sister Leslie Speaker, add a few horns to the mix whilst incorporating the tough and very necessary foundational element of drums and bass; voila, The Comb Down was born. Focusing specifically on the musical styles of 1960’s-1970’s funk, paying proper homage to the historic nuances, attire and instrumentation is something that the band doesn’t take lightly. Aside from playing with The Comb Down, members of the band travel musically through many different genres and styles. The musicians in this group have been seen with acts such as, John Brown’s Body, Dispatch, Giant Panda Guerilla Dub Squad, Big Mean Sound Machine, Mutron Warriors, Nahko and Medicine for the People, Road Man, The Nth Power, Sophistafunk, Guster, Funky Dawgz Brass Band, Thunder Body, Don Most from Happy Days, Double Tiger, Black Castle and The Crucials, in naming a few.